A Gaithersburg pharmaceutical company with significant Baltimore operations has acquired the maker of Narcan, a widely used opioid overdose reversal drug, and said it plans to develop more products to combat the nation’s opioid addiction and overdose epidemic. Temperatures may climb into the upper 90s in Charm City on Tuesday and feel like the triple digits for most of the afternoon. Wednesday is expected to be just as hot, if not hotter. Baltimore Health Commissioner Leana Wen issued a code red extreme heat alert for Tuesday, Aug. 28, and Wednesday, Aug. 29. The alert means that the heat is severe enough to threaten the life or health of vulnerable residents, and people may need to use caution if they are outdoors. The heat index approached 110 degrees Tuesday afternoon in Baltimore, and with hot, humid air flowing into the Baltimore region this week, more steamy conditions are forecast Wednesday. Baltimore Health Commissioner Leana Wen declared a “Code Red” heat alert for both Tuesday and Wednesday. The city announced that it would open the Northern, Southern, Northwest and Southeast community action partnership centers as cooling centers both days from 8:30 a.m. to 4:30 p.m. Hot, humid air is flowing into the Baltimore region this week, bringing high temperatures into the mid-90s and a heat index in excess of 100 degrees at times. Temperatures are forecast to reach the mid-90s Tuesday and Wednesday. With the humidity, it’s forecast to feel like the lower 100s Tuesday and Wednesday, and Baltimore Health Commissioner Leana Wen declared a “Code Red” heat alert for both days. The city announced that it would open the Northern, Southern, Northwest and Southeast community action partnership centers as cooling centers on Tuesday and Wednesday, from 8:30 a.m. to 4:30 p.m.
BALTIMORE, MD (August 27, 2018) – With a heat index expected to be over 100 degrees Fahrenheit both Tuesday and Wednesday, Baltimore City Health Commissioner Dr. Leana Wen has issued a Code Red Extreme Heat Alert for tomorrow, Tuesday, August 28 and Wednesday, August 29. With the heat index expected to be over 100 degrees Tuesday and Wednesday, the Baltimore City Health Commissioner Dr. Leana Wen has declared a Code Red Extreme Heat Alert. “Heat is a silent killer and a public health threat, particularly for the young, the elderly and those with chronic medical conditions,” Dr. Wen said. A Code Red Extreme Heat Alert has been issued for Tuesday, Aug. 28 and Wednesday, Aug. 29, the Baltimore City Health Comissioner Dr. Leana Wen said Monday. With high temperatures and oppressive humidity, the heat index is expected to exceed 100 degrees both days. Code Red alerts are declared when the heat is expected to be severe enough to present a "substantial threat to the life or health of vulnerable Baltimore residents," Wen's statement said. Baltimore City announced a "Code Red" heat alert for Tuesday and Wednesday as temperatures surge for the start of the week. Heat indexes are expected to top 100 degrees both Tuesday and Wednesday. 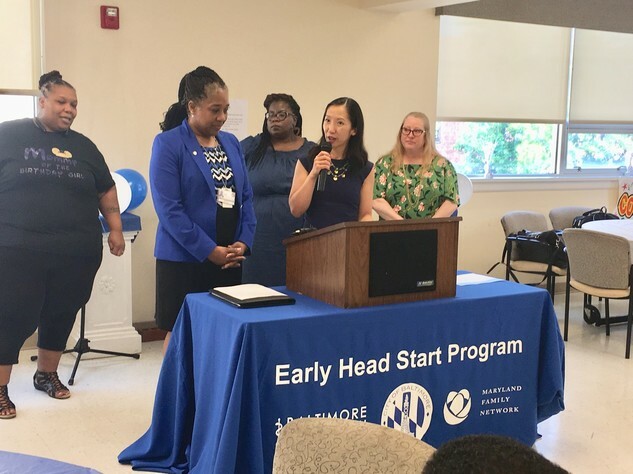 BALTIMORE, MD (August 22, 2018) - Baltimore City Health Commissioner, Dr. Leana Wen, issued the following statement about the Baltimore City Biennial Performance Audit released to the Board of Estimates today.